Candlewyck Church asked us to create a series of illustrations for a sermon series entitled “Tough Words : The hard sayings of Jesus”. 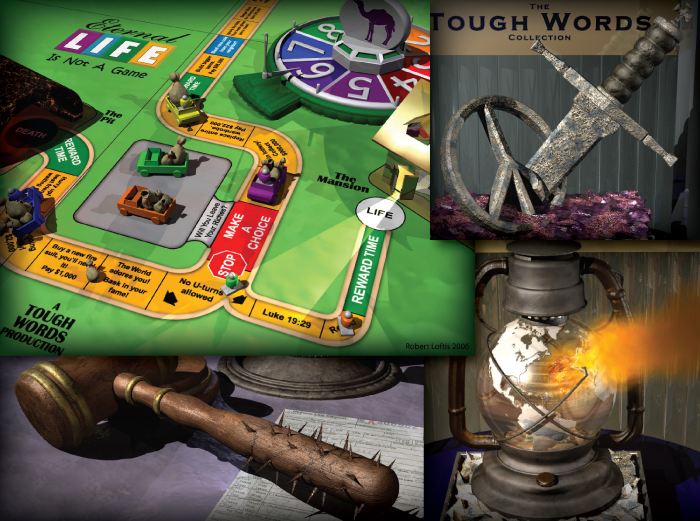 Here’s a sampling of some of the award winning 3D illustrations we created for that series. We were given free reign in development of the content, as long as it helped the viewer remember the lessons taught. After studying the sermons and relevant teachings, we created the images and delivered them to the church, to be displayed that morning on a 10′-wide screen.